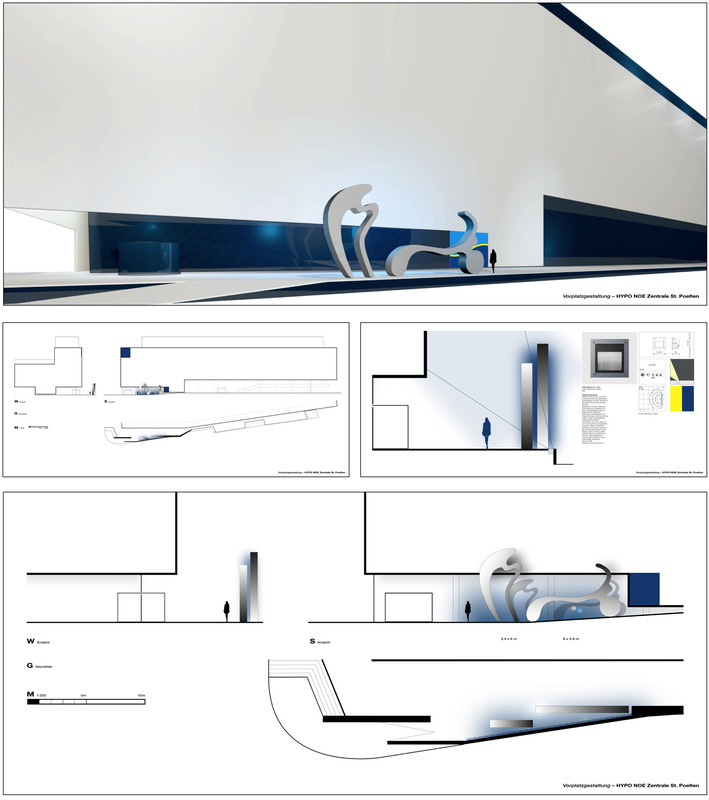 Layout, graphics and architectural consulting for an art competition. Manfred Wakolbinger, a sculptor was invited to propose a new design for the entrance of a bank in Lower Austria, St. Poelten. The modeling was done in blender.